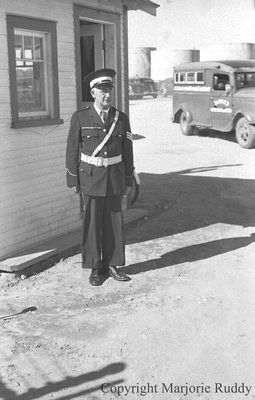 Black and white negative of an unidentified man dressed in a uniform standing outside of a building. Large oil tanks and a truck are visible on the right side of the photograph. Unidentified Man in Uniform, c.1945, Marjorie Ruddy. Whitby Archives A2013_040_847B.